For the last 13 years, the Latin America Business Forum (LABF) has gathered the region’s public and private sector decision-makers to explore on the most critical issues confronting in Latin America. 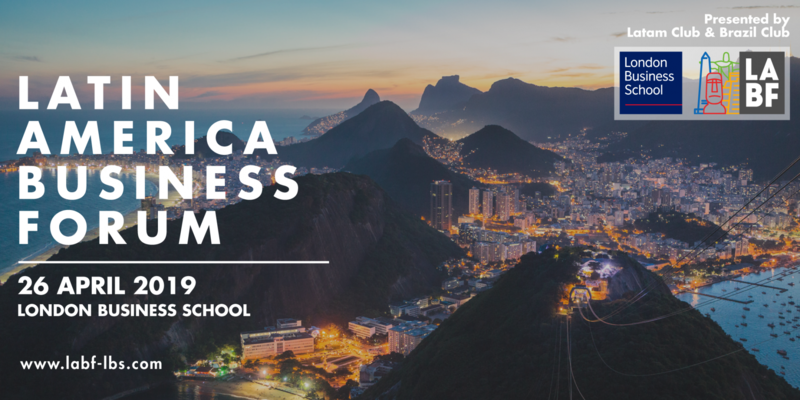 The London Business School’s Latin America Club is proud to invite you to our 14th edition of the LABF. This April 26th, 2019 join students, alumni, and executives for the largest meetup of Latin America in London. We'll be joined by an inspiring line up of speakers, from top regional PE firms -Patria Investimentos-, to tech unicorns -Stone Pagamentos-, to national holdings -Credicorp-, and multinationals like PepsiCo and Bank of America Merril Lynch. Engage in networking & recruiting and learn about the business opportunities and development challenges ahead for LatAm--all whilst enjoying a cultural experience that reflects the region's diversity.